The first act of a Heavy night has to set the right tone, and Fotan’s Feel of All did just that with a speedy string of emo pop-punk songs, which dipped a toe into heavier sounds. Drummer Fatlung Wong was the star of the show, his tub-thumping magnetism amplified by the perma-grin on his face. Singer and guitarist Skate On was a charismatic frontman, but spent a little too long talking in between songs. 逆時針 was the strongest song of the set, a pacy number drenched with “coming-home-after-a-long-trip” optimism. 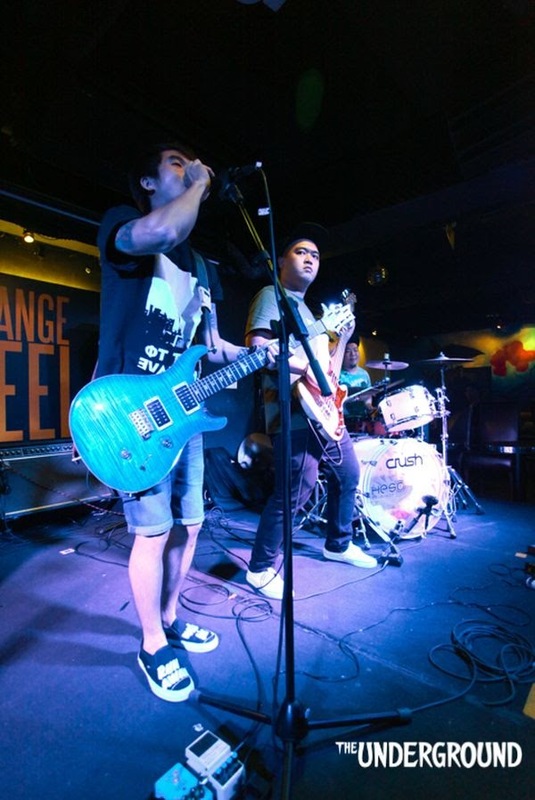 Channelling an upbeat pop-punk sound akin to Blink 182, New Found Glory, Taking Back Sunday and Wheatus, Feel of All gave a dose of early noughties nostalgia while lighting a promising signal fire for the Canto scene. The sing-song delivery and accelerating guitar of 沒有青春的日子 was reminiscent of early Brand New, while the high-school confessional slant of Yellowcard could be heard in 逆時針’s pop stylings After a neat bassline, last song 玩到夠 roared to life with fuzzed-out guitars, galloping drumroll, and hollered lyrics. Overall, Feel of All dropkicked Heavy 16 into consciousness with a string of fairly generic but well-executed songs, carried by tight instrumentation and an infectious attitude.